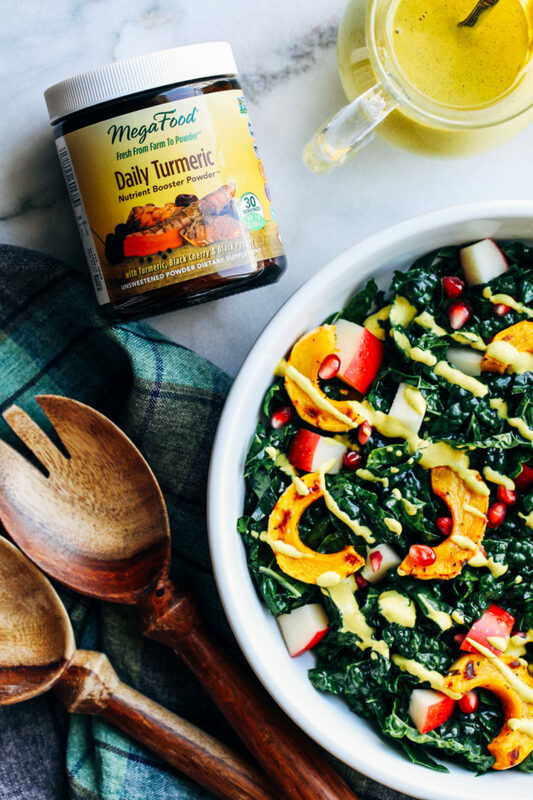 Fall Harvest Salad with Turmeric Dressing- fall’s best produce served with a creamy superfood turmeric dressing. 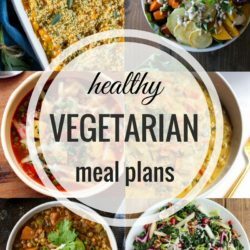 Perfect for the holidays or as a healthy side with dinner! Can you guys believe it’s the week of Thanksgiving already? I’ve been so busy trying to get settled that it snuck right up on me. We don’t have plans to go home this year because it’s a little too soon but I will definitely be making us a meal at home. So far the menu includes my Mushroom Lentil Loaf, Butternut Squash Sweet Potato Casserole, Simple Green Beans and this colorful fall harvest salad. 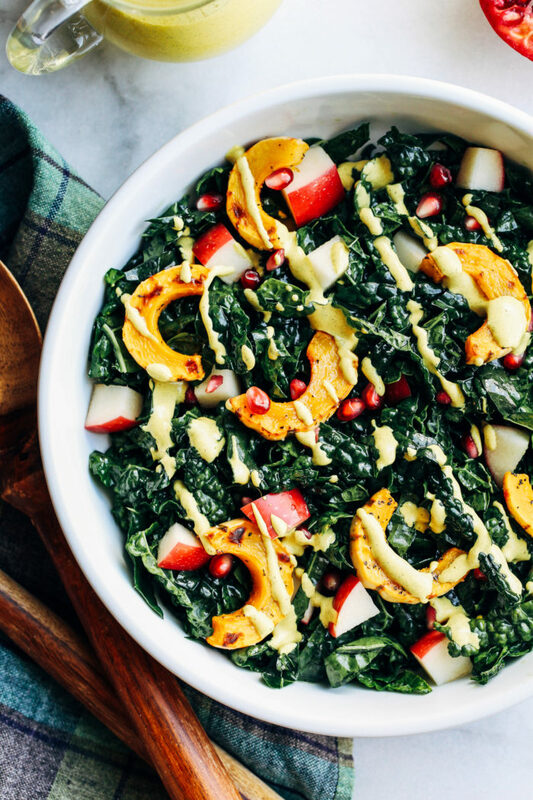 This salad features some of fall’s best produce: roasted delicata squash, crisp sweet apple, and tart pomegranate arils on a bed of massaged kale. I figured why not throw it in a dressing too? Preheat the oven to 400°F then line a baking sheet with parchment paper. Chop off the stem of the squash, slice in half then use a spoon to scoop out the seeds and flesh. Cut each side into 1/2-inch pieces then arrange on the baking sheet. Lightly spray or coat each piece with high heat oil and sprinkle with salt & pepper. Bake for 12 minutes on each side, until tender and light golden brown. 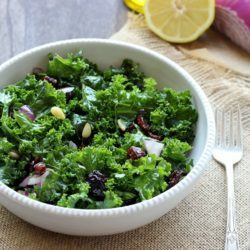 Meanwhile, prepare the salad by placing the kale in a large bowl. Pour in the olive oil, juice of 1 lemon and a pinch of salt. Massage it into the kale for about 1 minute. Top with diced apple and pomegranate arils then set aside. Prepare the dressing by combining all of the ingredients into a blender. Blend on high until smooth. Add more water as needed to thin. Transfer to a small container and set aside. 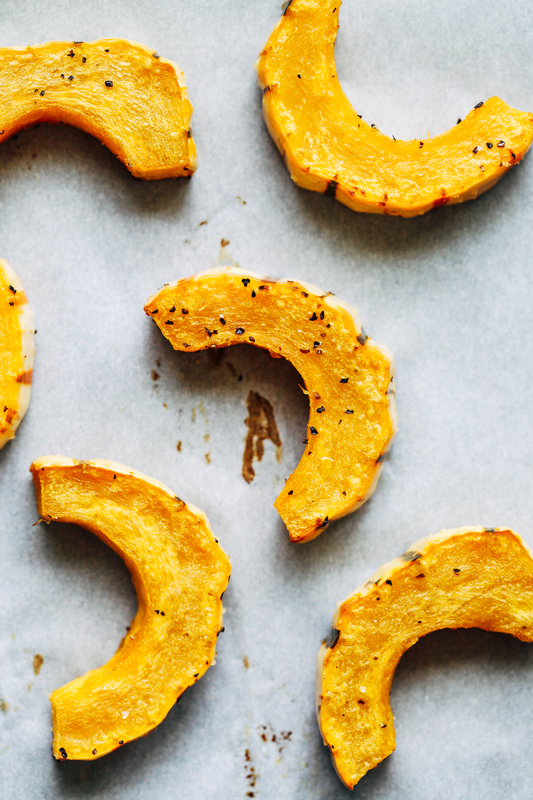 Once the squash is done, place it in the bowl with the kale and toss to combine. 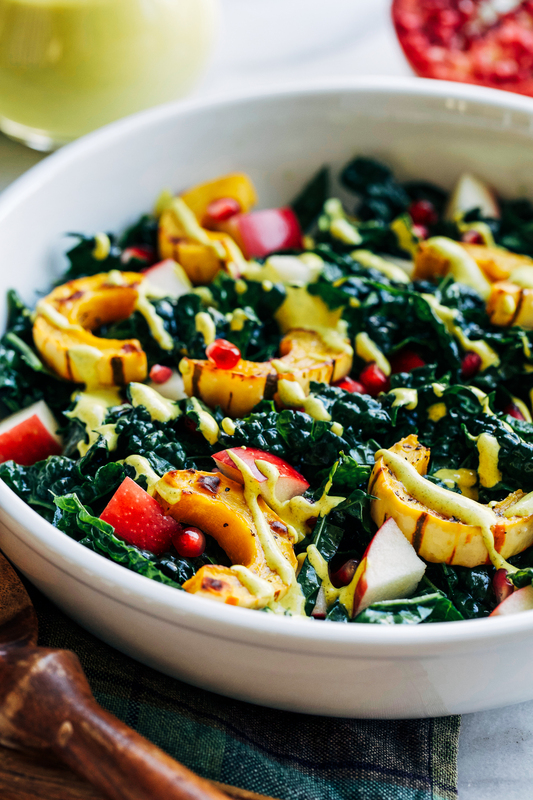 Top with turmeric dressing, serve immediately and enjoy! 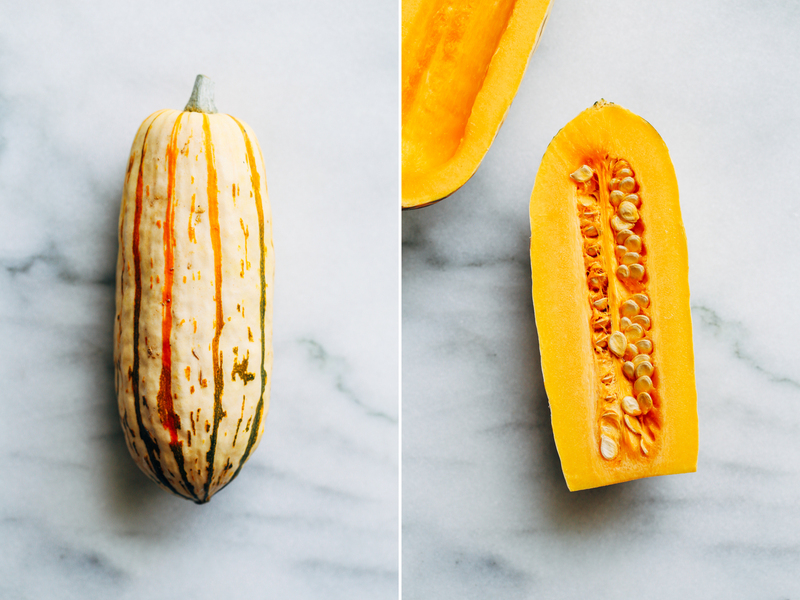 I love adding delicata squash to my salads this time of year. This one looks so good! 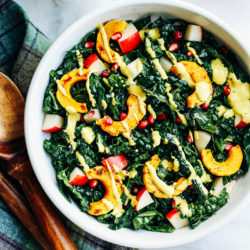 Your Thanksgiving menu sounds wonderful – so loving that butternut squash sweet potato casserole and this salad with Turmeric Dressing! 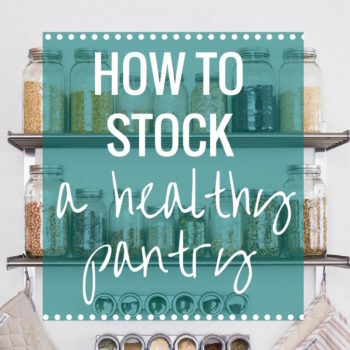 I love using fresh turmeric but now I’ve gotta check for that daily turmeric powder! 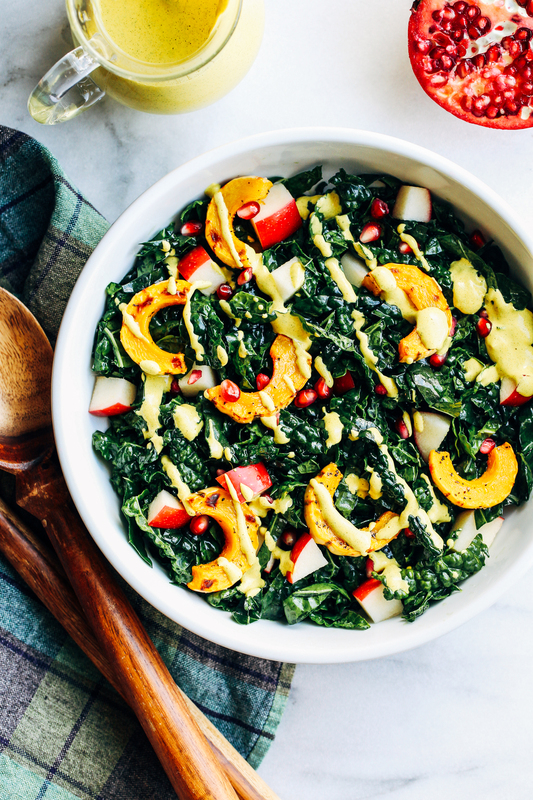 This is a great salad incorporating turmeric, which my family is trying to have more of. Will share with my Mum. Hopefully salads sit well with my meat-eating Dad! Moving around this time of year would definitely make Thanksgiving an afterthought…at least you have a delicious meal planned! 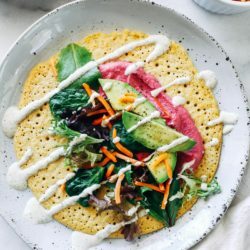 This salad looks amazing and I love the sound of that turmeric dressing, and that’s so great that it has a big nutrition boost. 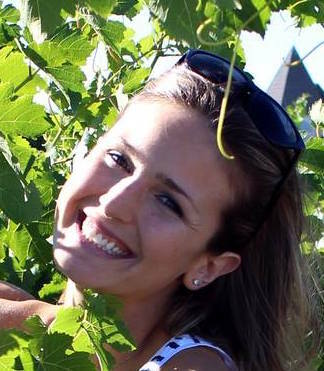 I hope you and Brandon have a wonderful Thanksgiving, Sarah! 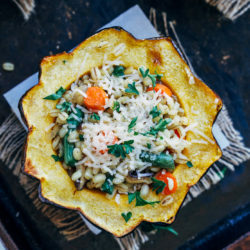 Hi, looks great and id like to make for thanksgiving! 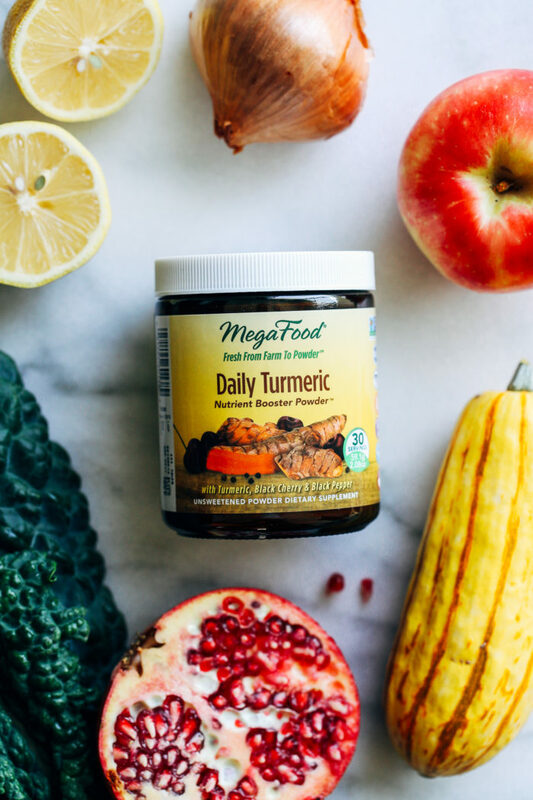 If I’m not going to use the Turmeric Nutrient Boost powder, how much turmeric do you recommend I add? This looks awesome! I am excited that you have turmeric in the dressing. 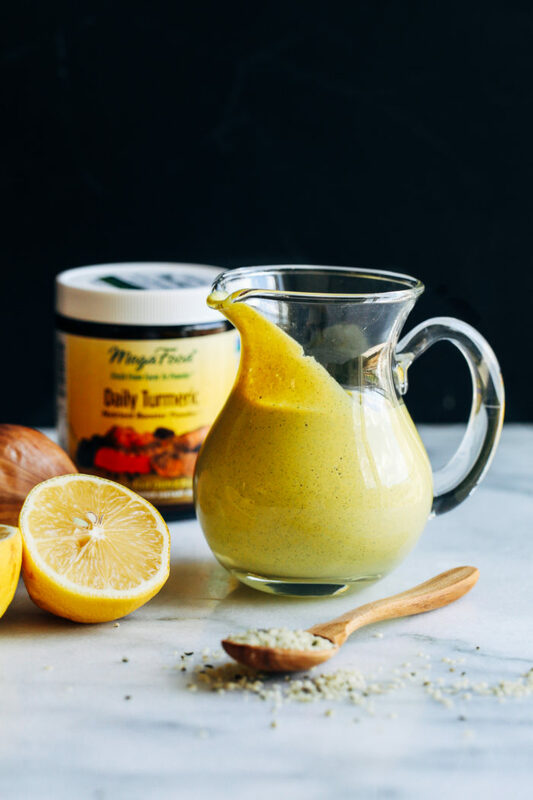 I’ve been looking for more recipes that have turmeric. 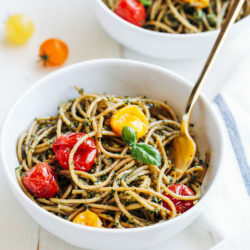 Such a delicous, healthy looking salad! Such great ingredients. Love the photos, too! I love homemade dressings, too.